Plumbing "safety fitting" for the Whale "Quick Connect" system. 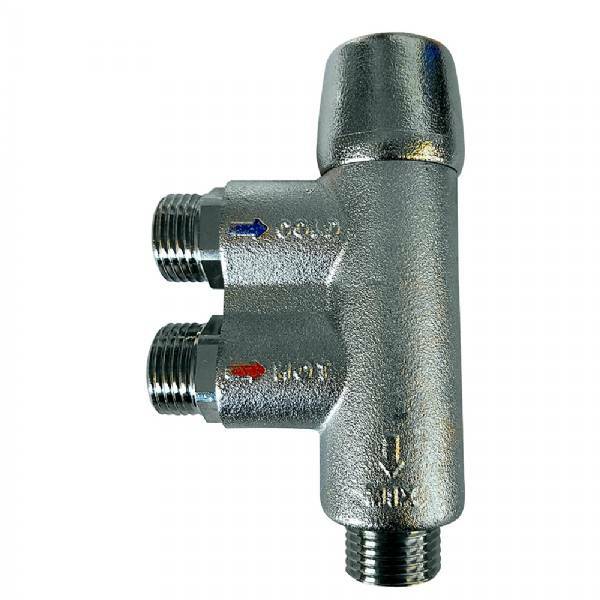 Thermostatic mixer valve using three 1/2" BSP Male threaded ports. Constructed of nickel-plated brass including non-return valve. Each BSP running thread is fittted with O-ring.